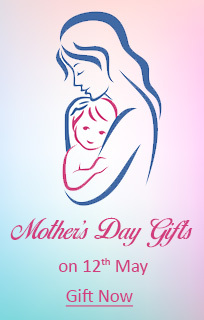 Celebrate special occasions by giving a thrilling surprise to your dear one with a gift which is hidden in the following way. Mug with Message for Father in which Sparkling Cufflink N Tie Pin - JPDEC-15-46 is hidden and packed as a single Gift. 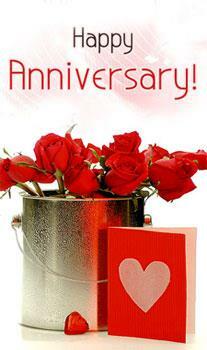 Products: Mug with Message for Father +Sparkling Cufflink N Tie Pin - JPDEC-15- 46 + Eclairs chocolates. Celebrate special occasions by giving a thrilling surprise to your dear one with a gift which is hidden in the following way. Mug with Message for Father in which Silk Dark Navy Blue Ties is hidden along with Eclairs chocolates and packed as a single Gift. Products: Mug with Message for Father + Silk Dark Navy Blue Ties + Eclairs chocolates. 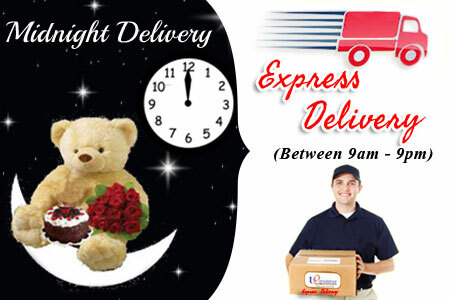 Celebrate special occasions by giving a thrilling surprise to your dear one with a gift which is hidden in the following way. Mug with Message for Father in which Cufflinks set (24K Gold Plated )along with Tie Pin. 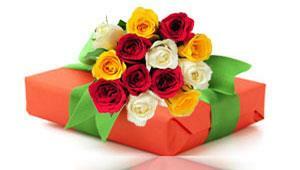 is hidden along with Eclairs chocolates and packed as a single Gift. Products: Mug with Message for Father + Cufflinks set (24K Gold Plated )along with Tie Pin + Eclairs chocolates. Celebrate special occasions by giving a thrilling surprise to your dear one with a gift which is hidden in the following way. Mug with Message for Father in which Lord Ganesh Idol - (Estelle)(code-GAN-05) Height:2 inches(approx.) 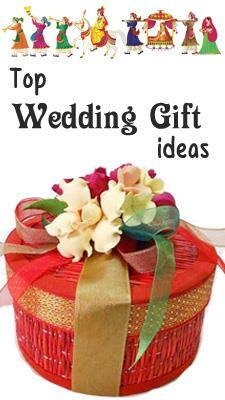 is hidden along with Eclairs chocolates and packed as a single Gift. Products: Mug with Message for Father + Lord Ganesh Idol - (Estelle)(code-GAN-05) Height:2 inches(approx.) + Eclairs chocolates. 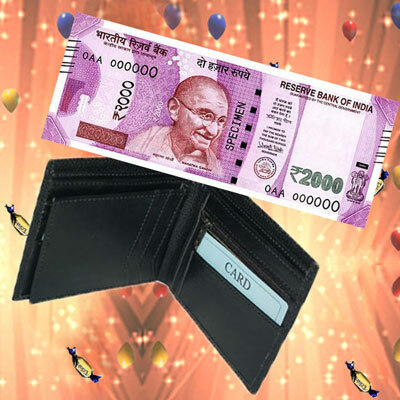 Celebrate special occasions by giving a thrilling surprise to your dear one with a gift which is hidden in the following way. Mug with Message for Father in which 5 Grams Ganesh Silver Coin - SJSC05G99 is hidden along with Eclairs chocolates and packed as a single Gift. 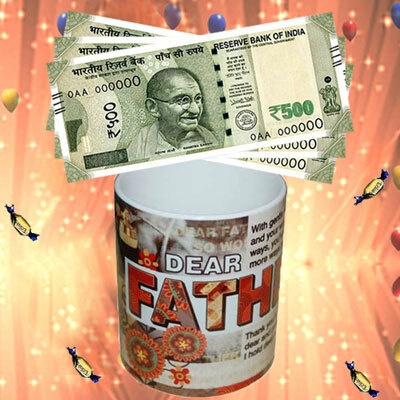 Products: Mug with Message for Father + 5 Grams Ganesh Silver Coin - SJSC05G99 + Eclairs chocolates. Celebrate special occasions by giving a thrilling surprise to your dear one with a gift which is hidden in the following way. 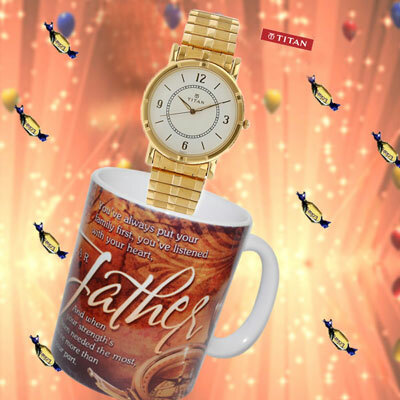 Mug with Message for Father in which Titan Gents Watch - 1639YM03 is hidden along with Eclairs chocolates and packed as a single Gift. ... more details given in more description. Celebrate special occasions by giving a thrilling surprise to your dear one with a gift which is hidden in the following way. Mug with Message (Father) - code M01 in which Cash Rs.1500 is hidden along with Eclairs chocolates and packed as a single Gift. Celebrate special occasions by giving a thrilling surprise to your dear one with a gift which is hidden in the following way. 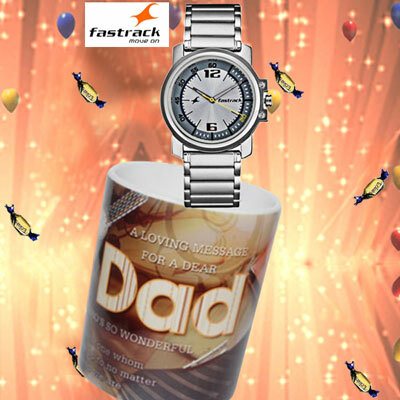 Mug with Message for Father in which Fast track Watch for Men - NE3039SM06-D329 is hidden along with Eclairs chocolates and packed as a single Gift. 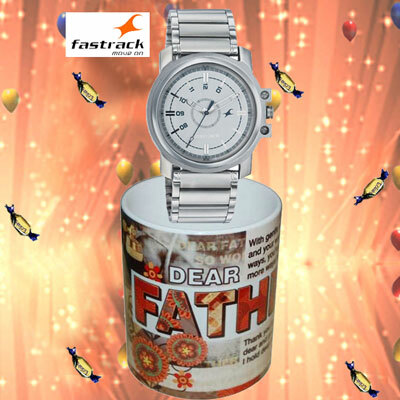 Products: Mug with Message for Father + Fast track Watch for Men - NE3039SM06-D329 + Eclairs chocolates. Celebrate special occasions by giving a thrilling surprise to your dear one with a gift which is hidden in the following way. Beautiful Mug with Message (Father) - code M01 in which Titan Fast track Watch for Men - 3039SM01 is hidden along with Eclairs chocolates. Celebrate special occasions by giving a thrilling surprise to your dear one with a gift which is hidden in the following way. Beautiful Executive Bag in which Assorted Dryfruits (500grms) box is hidden and it is packed as a single Gift. Celebrate special occasions by giving a thrilling surprise to your dear one with a gift which is hidden in the following way. Beautiful State Exp Wallet Black color F 62 -001 in which cash Rs. 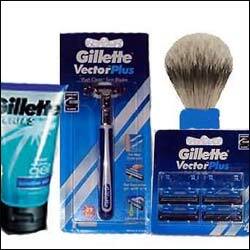 2000/- is hidden and it is packed as a single Gift. 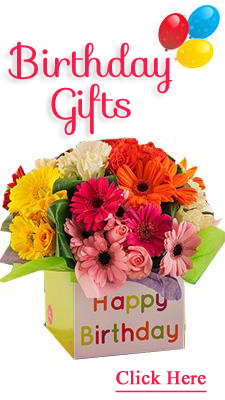 Celebrate special occasions by giving a thrilling surprise to your dear one with a gift which is hidden in the following way. 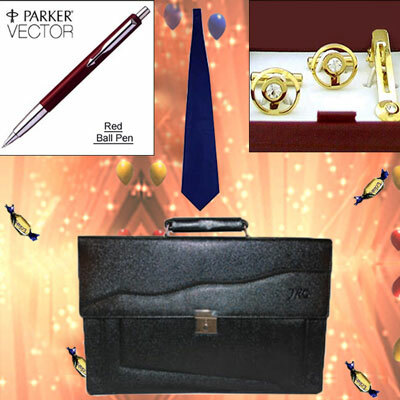 Parker Red Ball Pen +Silk Dark Navy Blue Ties + Cufflinks Set & Tie Pin (Gold Plated) is hidden in the Executive File Bag and is packed as a single Gift.